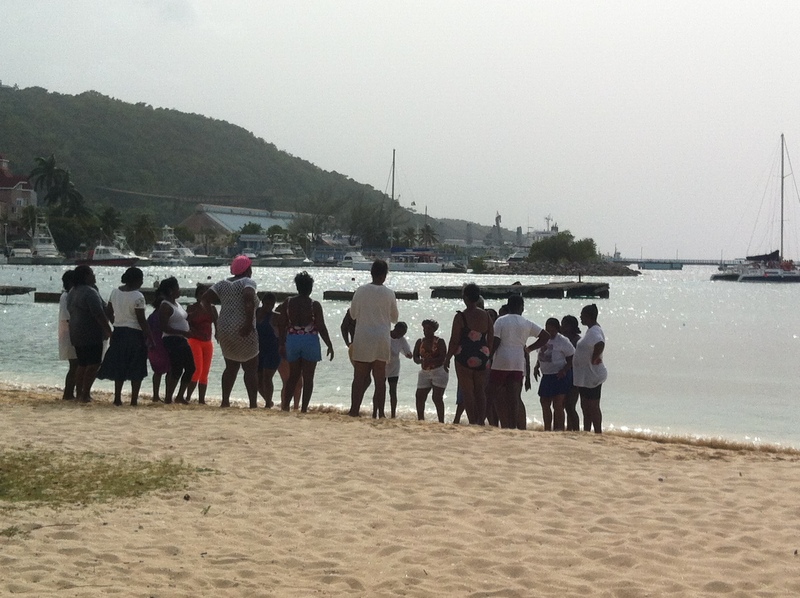 This is the main beach in Ocho Rios. These ladies were joyfully playing childhood games in a circle, chanting and clapping and dancing. It was lovely to watch. Tourist season has died down a little bit, so the beach was quiet. We were, however, turned away from Mystic Mountain because it was over capacity. As a family member who had just arrived from England for the Diaspora Conference commented, he was urged at the conference to frequent local business and support the local economy. But when he attempted to do so, he was turned away because the attraction was full of tourists from cruise ships. An interesting dilemma.